In 1996, the annual Governor’s Safety & Health Conference safety award was renamed to the “Gary Hawk Safety Award” in honor of long-time OSH Advisory Council member Gary Hawk, who passed away after a long battle with cancer. Dr. Jim Withers has been an industrial hygienist and safety professional for nearly thirty years. His educational background includes a BA in Biology from Luther College and a MS in Preventive Medicine & Environmental Health (emphasis in Industrial Hygiene) from the University of Iowa. Jim also holds a PhD in Industrial Technology from Iowa State University, where his doctoral research focused on learning and retention differences between students taking chemical safety training on a computer versus in the classroom. Jim’s research resulted in two published articles in peer-reviewed journals. Jim is both a Certified Industrial Hygienist (CIH) and a Certified Safety Professional (CSP), and has guest/adjunct faculty appointments at Iowa State University and Columbia Southern University. One of his greatest passions throughout his career has been teaching and mentoring students on a variety of topics including toxicology, industrial hygiene, safety management, and leadership. Dr. Withers has also been a consultant to numerous companies on exposure assessments, safety training, and program development. Jim has also been a regular invited speaker at local, state, and national industrial hygiene and safety conferences. Currently, Jim is the Corporate HSE Director for the American Packaging Corporation and is based in Story City, Iowa. 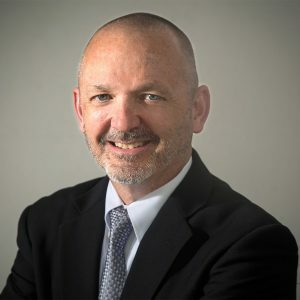 In his current role, he has been focusing on developing a company-wide understanding of the interrelationships between human behavior, engagement, culture, and safety performance. This website hosted and designed courtesy of the Department of Occupational & Environmental Health, College of Public Health, University of Iowa. Save the Date: 47th Annual Iowa Governor's Safety & Health Conference will take place November 1 & 2, 2018 in Altoona, Iowa!